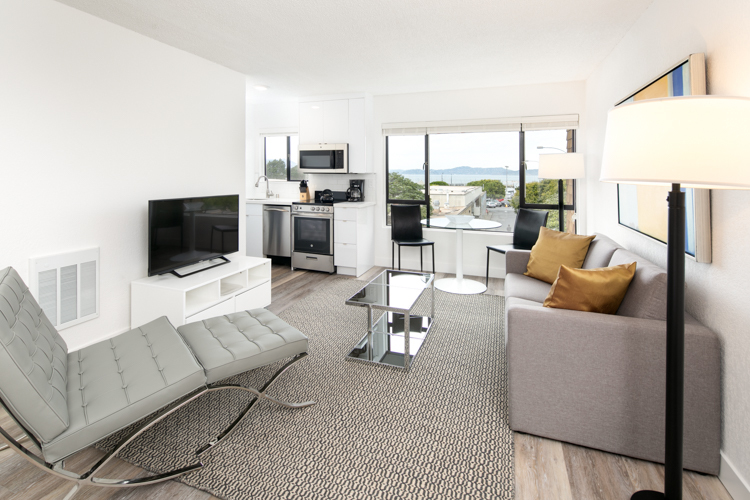 Our San Francisco Apartments feature quality finishes, higher ceilings, angled walls, skylights and fireplaces, and soundproofing. Its details like these that help make our San Francisco apartments feel like home. Timeless and tasteful, our classic architectural design aesthetic sets the tone for our brand. Refined, uncluttered and immune to fleeting trends, we sum up our style in two words: understated elegance.